Mesh backrest upholstery creates airflow for maximum breathability. Padded foam armrests are height adjustable for user's preference. Back tilt mechanism allows user to recline freely or lock the backrest in the upright position. Heavy duty gas lifts allow user to set seat to preferred height between 460-560mm. Available in a selection of vibrant, eye-catching mesh colours. Also available as visitor or meeting room chair options. 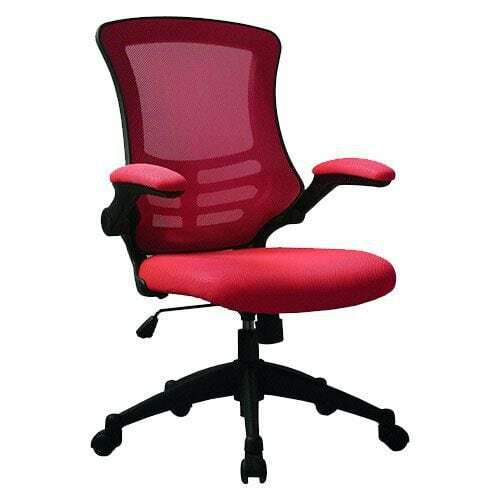 Designer mesh back office chair available in a range of vibrant colours.